The Congress of South African Trade Unions (COSATU) is deeply concerned by the abduction of the leader of our sister federation ZCTU, our Comrade Peter Gift Mutasa and others, who were taken either by the police or the military and their whereabouts are unknown. We do not take lightly their disappearance because history has taught us that when people are abducted in such fashion, the probability of seeing or hearing from them ever again is very much slim. We call on everyone to push for their return by the security forces. The excessive and unnecessary force used against civilians by the military and the police in Zimbabwe on Wednesday, 16 January 2019 has compelled many activists to go underground, fearing for their lives. The Government of Zimbabwe has responded by unleashing extreme violence against innocent people. The demands of the people of Zimbabwe are genuine uprising and fair. It is the state that is provoking violence out of peaceful protesters. COSATU, therefore, stands in solidarity and supports the demands tabled by people of Zimbabwe as led by ZCTU. We have observed from a distance how the Mnagangwa government sidelines labour in economic processes. Without the presence of labour, any plans made are bound to fail, for labour is critical in ensuring prosperity for all. The federation will continue to watch with keen interest the developments in Zimbabwe and we will not be silent while we watch our brothers and sister rights being trampled on and life for them becoming more and more difficult under the iron arm of a repressive government. 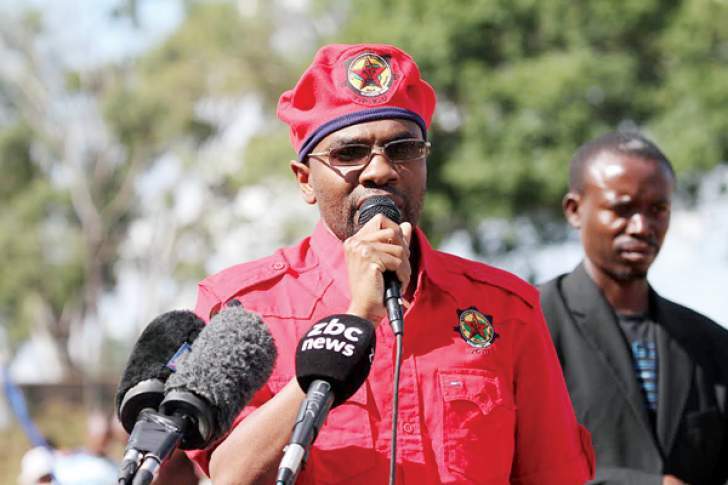 We call on the global labour movement to join us in the demand for the security forces to bring back ZCTU President Peter Mutasa and all abducted activists. We need to support the people of Zimbabwe and force the Mnangangwa regime to properly respond to the peoples demands. We demand they too respect international laws as well as the laws and the constitution of Zimbabwe. We stand firm in solidarity with the ZCTU comrades and we send power and strength to you comrades to stand tall as you struggle for economic justice for all in Zimbabwe.